After the sun sets, the importance of parking lot safety rises. Parking lots and parking garages can be extremely dangerous places, especially at night under poor lighting. There are many factors that contribute to their becoming hotbeds for criminal activity. 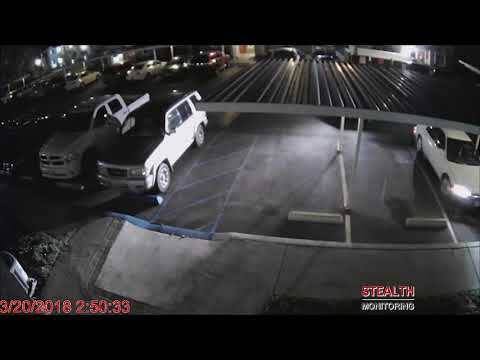 Would-be thieves target parking lots because, quite often, there are people walking alone, some of whom may be carrying valuable items. Parking lots provide ample hiding spots for thieves and drug dealers who can easily hide and move between parked vehicles. Additionally, inadequate lighting can create dark places for crouching perpetrators to lurk and freely swipe wheels, tires, catalytic converters and other items inside vehicles. Another draw for criminals? Fleeing the scene of a crime can be quick when your getaway car can be easily camouflaged among the other parked cars. 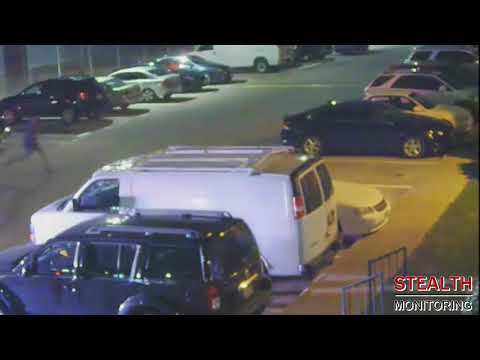 There are a variety of reasons why criminals target parking lots, but there are proactive measures you can take to bolster parking lot safety at your property. To start with, enhance your lighting to eliminate potential hiding places and deter would-be criminals. You should also consider adding security measures. Many properties opt for traditional security guards, but this can be expensive. Since a guard can only be in one place at a time and cannot always see who may be lurking behind a car, it’s also not always effective. Remote video monitoring can be a more efficient and less costly solution. Stealth operators are trained to watch for criminal activity. They watch properties in real time to identify and deter crime before it happens. Our technology allows the operators to simultaneously cover many areas from vantage points that may be impossible for guards to access. If they see something suspicious, they can call the local police. Officers typically respond faster to Stealth calls because the live video serves as evidence of a crime in progress. We recently helped the Arlington Police locate and arrest a thief in a parking lot. To enhance the caliber of their video footage, many of our customers utilize HD IP-security cameras in their parking lots. You can see how good the quality is, even at night. The license plates have been blurred for anonymity. Parking lot safety is a concern for property managers and owners who want to keep residents and employees secure. After all, it’s your job to keep the criminals out and protect your premises. Our security experts can work with you to design a solution that is right for you. If you would like more information about parking lot safety or commercial security, contact us here.